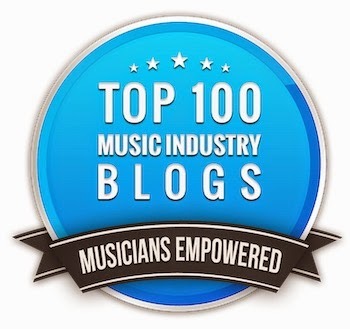 This year I thought I'd change things up a bit and give out some awards out for products I liked at the Winter NAMM show. These are products that really stood out to me either as something I would personally want to use or something that's innovative. In this inaugural year of the Bobby O NAMM Awards, we have 8 winners. 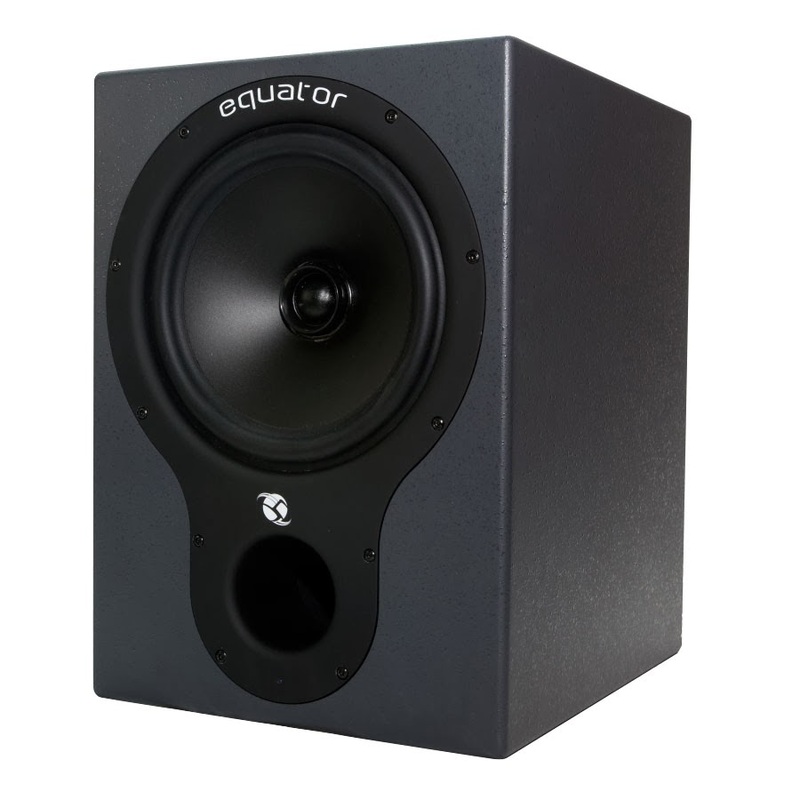 Equator Audio D8 - I'm already an everyday user of the Equator D5s, which are built around 5 inch dual concentric drivers. I love their sound but always wished for more bottom end. 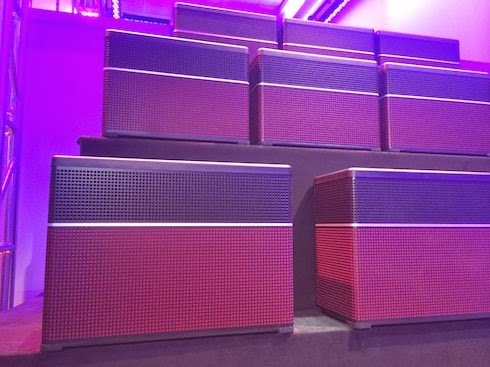 The D8's appear to have solved that problem, and sounded tremendous on the floor (the booth was at the back of the hall somewhat away from the noise so you could actually hear them a bit). They also had a potentially very useful feature for some in that the DSP could switch to the curve of an Auratone or NS-10 if desired (not that I every would, personally). Their curve was also tweaked by golden ears engineer Francis Buckley and mastering engineer Chris Bellman, so they have some of their mojo, which really made them stand out. I actually thought I was going to give this award to the Presonus Scepter 8's, which I heard at the Presonus factory studio back in June. I loved them at the time, but they weren't set up for a serious demo at NAMM so there was no way to even remotely compare them with the D8's. Still, I'd like to hear both products side by side to see which I'd like better. 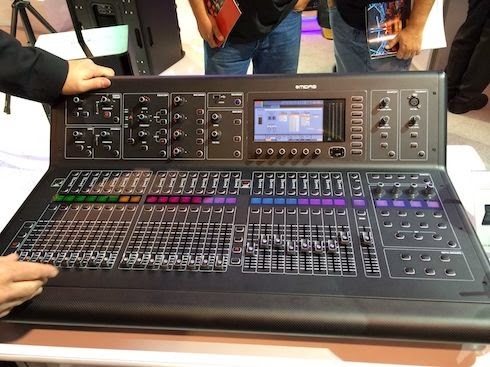 Midas M32 Console - Midas consoles are legendary for their great audio in the live sound world, and were purchased by Behringer a few years ago. Now after undergoing a makeover in manufacturing techniques, the new M32 has arrived. What's scary is the tremendous bang for the buck here. I mean it! 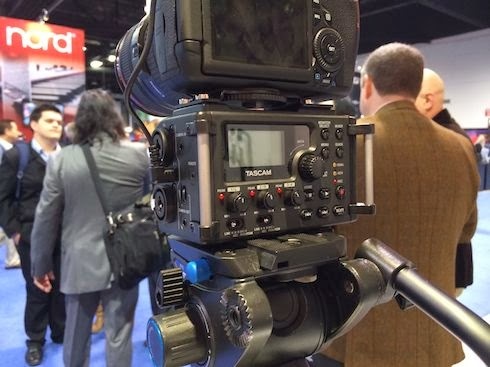 I did a double take when I looked at the $4,999 price tag for a real Midas (same analog electronics, I was assured) for 40 inputs, 32 Midas mic preamps, and 25 mix buses, plus a built in stereo recorder. It's a fully digital console complete with 192kHz convertors, and it looked to be really easy to use. I had it figured out to the point where I think I could use it after only a couple of minutes, or about what it would take on an analog desk. All I can say is "Wow." 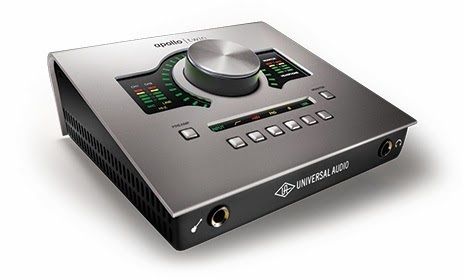 Universal Audio Apollo Twin - The UA Apollo has been a runaway preference as a multichannel computer I/O interface since its debut, but the problem was that it was too much for many home studio owners who only need two channels. UA heard the call of that market segment and came out with the Apollo Twin, a scaled down two channel Apollo, in response. The Apollo Twin can handle sampling rates of up to 192kHz, has two UA quality mic amps built in, and has all the same functionality as its larger Apollo brothers. Best of all, it sells for $699 for the solo core and $899 for the dual core thant can handle more of the built-in plugins in a mix. The only downside for those with legacy computers is that it's only available via a Thunderbolt connection, which should be no problem if you own a newer computer. The Beamz - This is a pretty cool controller that kind of works like a theramin but triggers loops instead. It can be connected via USB or MIDI to control either a DAW or sequencer, but it also comes with a library of instrument sounds that work together so that anyone can make music in just minutes by waving their hands. There are three packages that start from $199, including one for DJs and one dedicated to education and health care. Fishman Fluence Pickups - Since the beginning of the electric guitar, guitar pickups have been made pretty much the same way, with coils of wire wound around a bobbin with magnets in the middle. 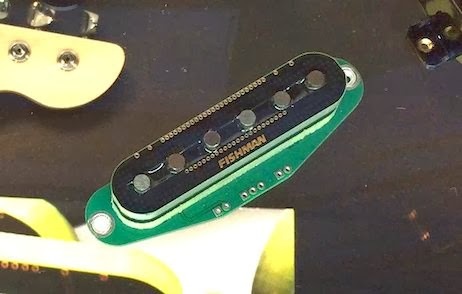 The Fishman Fluence changes that by having smaller winds mounted on separate layered circuit boards, which means that multiple sounds can be easily chosen externally without having to change pickups. The Fluence pickups are made in single coil or humbucker forms so that they look like the real thing and fit easily fit into the slots of a Strat or Les Paul (or guitar with humbuckers). 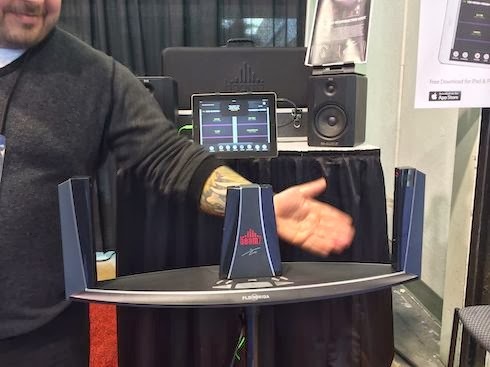 Line 6 Amplifi - Here's a great idea if you just want to have some fun playing guitar at home. It's a full modeling guitar amp with a couple of big twists. First of all, it's fully Bluetooth so you can send the songs from your iPad or phone to it for playback. Here's where it gets cool. There are actually two playback systems in the amp; one stereo for the song playback, and another for the guitar. But even better is the fact that the amp will determine which song is playing, go to the cloud to look at a database of sounds, and dial in the right guitar sound for you to play along with that particular song! The 75 watt Amplifi is only $399 while the 150 watt version is $499. Manley Core Reference Channel Strip - Manley always been known for great sounding outboard gear and the new Core channel strip is no exception. It starts with a Class A mic input into a 3 band equalizer with a sweepable midrange, into an ELOP compressor (the same one as the VoxBox), completed by a fast-attack FET limiter. Add to this a brand new switching power supply (one that actually works well for audio) and you have a very cool package perfect for any studio. At $2250, the price is right for so much power in two rack spaces. These are the products that knocked me out. Tomorrow, some that made me scratch my head. I've been saying for years that we need a great DAW/console in the 5grand range. This Midas desk looks awesome. Top of my list for new gear.